Fifteen years ago a colleague dragged me to a Mindfulness Training for mental health professionals. At that time, mindfulness was not considered a fully valid concept in psychology. As a psychologist who valued science, I viewed it as nothing other than new age, mystical hippy nonsense. I anticipated a flaky conference, and I was not disappointed. At one point, they had us all stand up and mill about aimlessly while humming for 20 minutes. Then we had to ask and answer some very personal questions with the strangers next to us. Fast forward to 2015, where Mindfulness and Science have met and married. And oh, what a glorious union it is! Mindfulness studies are pouring from many of the best researchers in the world. And the meaning of mindfulness has matured from simply “being in the moment” to a richer, more complex definition. Mindfulness: Being aware of what you are doing, experiencing and feeling in the moment. 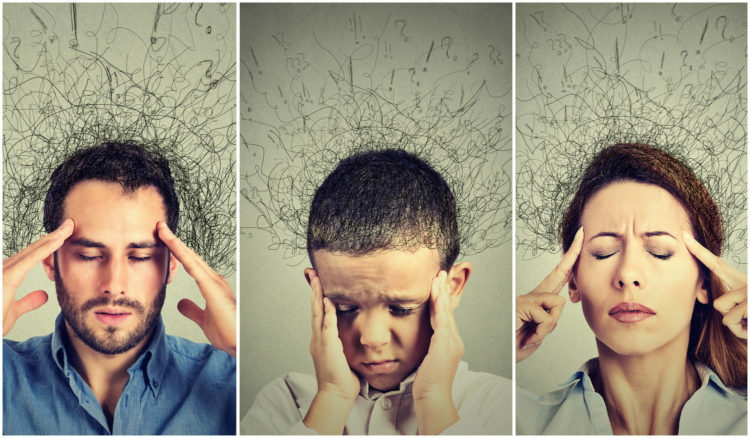 I have noticed that certain types of people struggle more with mindfulness than others. 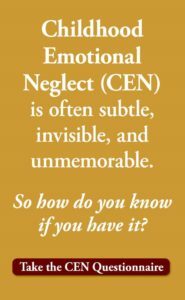 In fact, it is particularly absent and difficult for people who grew up in families which were not tuned in to the present moment or their emotions (Childhood Emotional Neglect). Did your parents notice what you were feeling as a child? Did they help you name your emotions, express them and manage them? Attending to your inner experience, and especially to your own feelings, does not come naturally to most. If your parents didn’t teach you how to do this, then you have to teach it to yourself. But never fear. Because the good news is, you can! In fact, one of the best things about mindfulness is that it is astoundingly learnable. Here is a simple exercise which combines both vital aspects of mindfulness: 1) focusing and controlling your mind; and 2) being aware of what you are feeling in the moment. 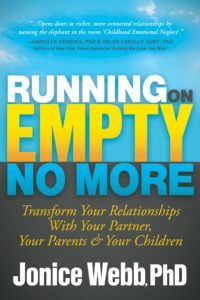 It is taken directly from my book, Running on Empty: Overcome Your Childhood Emotional Neglect. If you take five minutes to do this exercise three times a day, you are forcing your brain to perform a function that is novel. You are forging new neural networks which get stronger and perform better each time you do it, even when you are not successful in identifying or naming a feeling. Step 1: Sit in a comfortable chair in a room alone. Close your eyes. Picture a blank screen that takes over your mind, banishing all thoughts. Focus all of your attention on the screen, turning your attention inward. Step 4: Try to identify feeling words to express it. You may need more than one word. Step 5: If you are able to feel something but have difficulty putting a word or words on it, it may help to use a list of Feeling Words. If you’re having difficulty identifying any feelings, it’s okay! Do not put pressure on yourself. Coming up with a word is less important than simply going through the process of trying to focus your attention and feel your feelings. Imagine that there is a brick wall between you and your emotions. Each time you follow this four-step process, you are putting a chip in that wall. If you keep chipping away, again and again by doing this exercise, eventually you will, bit by bit, break down the wall, and gain control of your own mind and access to your emotions. If I went to a Mindfulness Training today, I would view it very differently than I did in the year 2000. I would see it as a remarkable opportunity to learn more about an amazing, cutting-edge approach to improving mental health in this world. I would see it as a way to combat Childhood Emotional Neglect in this generation, so that it will not be passed on to the next. I would see it as a tool that can bring calm, sleep and health to anyone who is willing to invest ten minutes per day. Who wouldn’t want to take advantage of that? 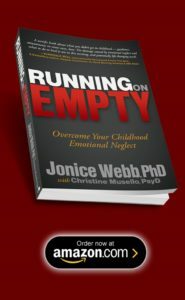 To learn more about Emotional Neglect or The Identifying & Naming Exercise, see the book Running on Empty: Overcome Your Childhood Emotional Neglect.